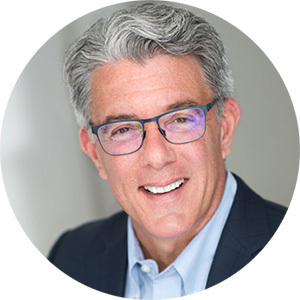 Scott Armstrong served 12 years as President and CEO of Group Health Cooperative, an integrated health care provider and not-for-profit health plan that has been nationally recognized for delivering some of the country’s highest quality and most innovative care. He advanced Group Health’s proud legacy as a major regional employer and a progressive leader in community health, public policy, and other civic priorities. Scott Armstrong oversaw the acquisition of Group Health by Kaiser Permanente, which closed on February 1, 2017. As President and CEO, he worked with his Board and executive leadership team to consider an acquisition, to negotiate an agreement, to successfully gain all necessary approvals, and to oversee a very effective transition process. The sale merged Group Health into the national KP system and created the Group Health Community Foundation, an independent foundation initially funded with $1.8 billion. Scott Armstrong’s commitment to improving the effectiveness of our nation's health systems extended well beyond his roles leading Group Health. He served for six years as a Commissioner on the Medicare Payment Advisory Commission, advising Congress on payment policy for the nation’s Medicare programs. He has been a featured presenter at conferences and other forums in markets across the country and has served in a variety of roles on national healthcare association Boards. Scott Armstrong also has strong governance experience. He serves on the Board, and Chairs the Governance Committee, of Puget Sound Energy, the largest regional gas and electric utility. He has served in a variety of roles on regional non-profit Boards.